You are at:Home»Relationships»How Long Does It Take To Fall In Love? Ah, one of the age-old questions! And not an easy one to answer. Perhaps you are someone who falls head over heels in a matter of weeks, or maybe you’re more of a slow burner. Everyone seems to fall in love, or at least think they have, at different rates and with different intensities. Our age can affect how quickly we develop feelings with new partners. This is due to a number of factors, including risk-aversion that develops later in life, as well as experience. For example, younger adults or teenagers may feel as though they fall in love very quickly. This is because the feelings are often very new and can be overwhelming to the point that they become very intense very quickly. Younger people have not had the same exposure to heartbreak or relationship breakdowns in the same way that a middle-aged divorcee has, for instance. This plays a big role in the speed with which younger people fall in love, as they are essentially blind to the potential pain or risks that can come with it. Those who are older may have been through several breakups, may have gotten a divorce, or may simply be more aware of the risks that come with relationships. As such, they tend to be more cautious when it comes to love. To an extent, they may actively hold themselves back from feeling too much, meaning they fall in love more slowly. They slow the process down out of nervousness or as a self-protection strategy. What’s Your Relationship History Like? This goes hand-in-hand with age, of course, in that those with a longer dating history may be slightly more hesitant when it comes to throwing themselves into new relationships. If we’ve been hurt in the past, it’s natural to hold back a bit and try to take things more steadily. People who are going into their first relationships often fall in love very quickly – especially if both partners are first-timers. The feelings that arise feel so much more intense than they may for people who have already been in several serious relationships. 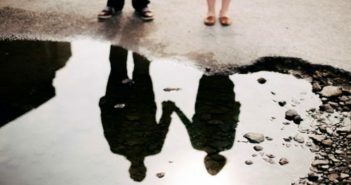 The fewer partners we’ve had, the quicker we get attached to them, and the deeper that initial attachment tends to be. 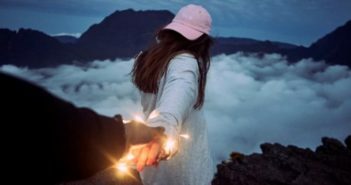 Those who have had unfaithful partners may find it takes them longer to fall in love with future partners, however genuine their feelings may be. This need to protect ourselves from potential pain is part coping-mechanism and, in some ways, part evolutionary. We learn to shelter ourselves from things that we think will cause us physical or emotional harm, which makes total sense. It’s important to remember that everyone is different, and that every relationship is therefore different, too. Those who have been unfaithful may find themselves struggling to be open and loving, however much they want to be. The fear of hurting someone again or having it within them to cheat on someone that they care about can feel debilitating when it comes to new relationships. Cheating is horrific, normally for both individuals in the relationship – the feelings of betrayal and shame can be awful for both people, and they tend to carry on into both people’s future relationships. But it’s not always as simple as saying that heartbreak leads to caution. Some of us, when devastated by a break-up, crave those feelings of intimacy and love, almost to the extent that we fall in love incredibly quickly because we want it so much. This makes sense, but it’s important to be self-aware and make sure your feelings are genuine before you get too stuck in to a new relationship. Make sure you really want to be with this person and not just any person who can fill a void! Others have been so scarred by heartbreak that they are almost too scared to let their guards down, to trust someone, and to love again. This is understandable, but try not to close yourself off from feeling genuine emotion because you’re afraid it will hurt. Remember that you made it through the last heartbreak and that you will make it through another one – should that ever happen, of course. The person you’re scared to let yourself love may actually be the one, so there’s no point worrying just yet! People who have broken the hearts of others may be hesitant to throw themselves into another relationship and may hold back from using the ‘L’ word. If you know that you have ended a relationship and left someone totally broken-hearted, you might be slightly nervous about doing the same thing again. You may have felt so in love with your ex at one point, and it scares you that you no longer feel that way. You may worry that if you fall in love with a new partner, there’s a risk that you’ll fall out of love with them, too, and leave them hurt and broken-hearted. This is always a risk, of course, you just have to decide if you think it is worth it. What’s Your Personality And Mindset? We’re all completely different people, which makes it impossible to put an exact timeframe on any behavior, especially one that involves such intense emotions as falling in love. Some of us are pretty reckless in terms of personality – we tend to ‘wing it’ when it comes to travelling without plans (one-way plane tickets, anyone?) and can be relatively ‘scatty’ in our general life. This often leads to us throwing ourselves into new relationships and falling in love very quickly. Those who have a more reserved personality type are, understandably… reserved when it comes to these kinds of feelings. People who have had a tricky upbringing (through divorce or bullying, for example) tend to fall in love very quickly. We might feel slightly neglected which can lead us to seek out love and all its benefits – we want that emotional bond and crave intimacy and affection. This is often due to feeling as though we missed out on these things when we were growing up. 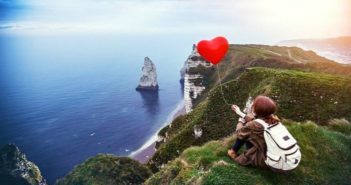 It can mean that our feelings of ‘love’ can be slightly misplaced as we look for that connection wherever it’s available. This is something to be mindful of so that we don’t misdirect certain behaviors and feelings at people who may not actually be able to fulfil our needs as we need or want them to do. In terms of mindset, our general outlook on life will obviously affect every aspect of life – including love. Those who tend to worry or get nervous about a lot of things can find relationships very challenging. Their natural tendency is to overthink things and worry about the consequences of their actions – and, when their actions involve another person who they care about, those worries can really intensify. Love is often centered around trust (in a healthy relationship, at least!) which is something those with anxiety-ridden minds can really struggle with. As a result, the ‘worriers’ among us normally take longer to fall in love, but, when we do, we fall hard – if it’s worth all the overthinking, it’s got to be pretty special, after all. On the other hand, those with a more positive, relaxed outlook can fall in love very quickly. That’s because they’re often programmed (or have programmed themselves to some extent) to see the best in everything. Positive thinkers tend to fall in love quickly. They’re optimistic and their hope that things will go well ‘allows’ them to feel their emotions and trust the process. Interestingly, outgoing individuals can go either way – some very confident people are so comfortable throwing themselves into new relationships that they let themselves feel things deeply and fall in love quickly. Other strong personality types are so used to being confident and happy with their own company, assurance, and self-love that they don’t crave romantic love in the way that other people do. As such, they often adopt a ‘take it or leave it’ approach to relationships and love. It’s with these personality types that other factors, like age and relationship history make the difference. What Is Your Emotional Intelligence? Some people are more in touch with their feelings and those of other people. This is at the crux of what emotional intelligence (EQ) really means. Those with a high EQ are likely to form emotional bonds with someone more quickly that those with a low EQ. Understandably, then, a higher level of emotional intelligence tends to lead to those feelings of love developing at a faster rate. But what’s also important is how quickly a person realizes that they are in love. And emotional intelligence plays a role here too. People with a lower EQ will typically misread the signs of love or simply ignore them for a prolonged period of time. So while they might actually be in love, they might not know that they are. They might really enjoy spending time with their partner and they might feel positive about the way the relationship is going, but they may not feel remotely ready to declare their love… because they are not convinced that what they feel is love. On the flip side, someone with a high EQ may also misread their feelings and believe that they are in love, when all they really feel is a strong sense of attachment or even lust. In other words, a higher emotional intelligence doesn’t necessarily mean instant recognition of what love is and what love is not. Gender plays a huge role in everything we do, so it’s no surprise that it can impact how quickly we fall in love and the intensity of our feelings. Some people believe that men fall in love more quickly, even though that’s not the general depiction in books and romcoms! 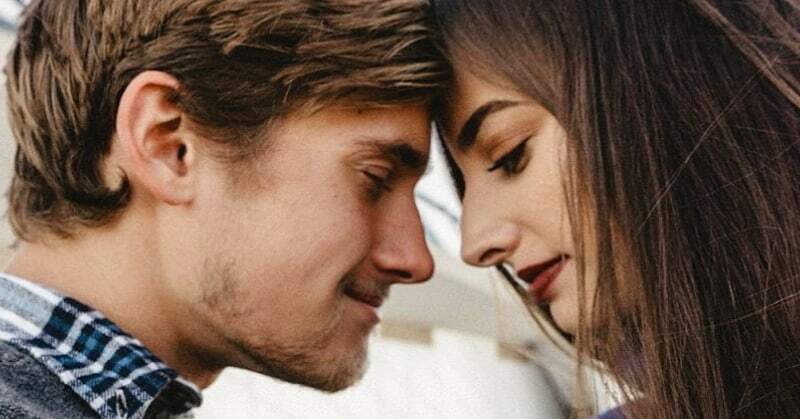 We tend to see women falling in love very quickly and men struggling to define their feelings – think of all the Hollywood movies about women in love with their male friends for years before the man realizes they’re in love with the woman, too! Women tend to stress or worry more, thinking about consequences and biological-clocks and reputations and so on. 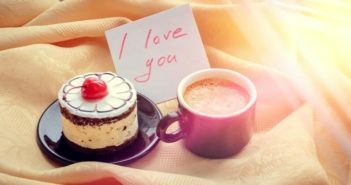 Many women find themselves second- and third-guessing their actions and feelings – this means they’re reluctant to admit to themselves, and their partners, that they’re in love. The majority of men tend to just go with it and assume things will work out! It’s always hard to quantify just how much our gender impacts our actions and feelings, so it’s even harder when it comes to love. We need to remember that within each gender, there are so many personality types and small details that really impact who we are as people. Not every man or woman is the same, so we can’t expect their experiences of love to fit into a nice neat pattern. How Has Your Relationship Progressed? How often you see your partner can also really impact how quickly you fall in love. If you’re dating someone and you see them quite often, it can go either way! Some people will find more and more things they like about the person they’re dating as time goes by, which makes you fall faster and harder. In that sense, seeing someone you’re dating most days can mean that you fall in love quite quickly. Other people, however, may find that seeing someone a lot can almost put them off! The feelings may still be there, but the ‘relationship’ (seeing a lot of each other and not feeling like you have independence) can make some people want to slow down and they’ll restrict themselves and hold back their feelings. In this case, falling in love will take slightly longer. Of course, there are people who spend a lot of time together as friends who develop feelings over time. That doesn’t mean that the feelings aren’t intense when they do appear, of course. Some bonds start off as friendship, and these can last a really long time. Two people may be in love with each other in a very platonic way, but there can still be a lot of intimacy there. Two friends can care about each other a lot, and be very supportive and protective of them in terms of dating other people. Jealousy is a natural feeling between friends, even when there are no romantic feelings involved. Sometimes this jealousy can lead to a ‘now or never’ moment when you suddenly realize that you don’t want your friend to be with the person they’re dating and you want them to be with you. It’s hard to pinpoint when friends who end up together fall in love. For some, it’s a slow, affectionate burn that fully manifests when something physical happens (a kiss, for example) that shifts the bond from friendship to potential partner. At one end of the spectrum is the notion that love can happen instantly upon seeing a particular individual. Now, we can’t really weigh in on this one – there isn’t really any science that we can turn to here and, as you may have guessed by now, ‘love’ can be very hard to define! We definitely believe in feelings at first sight, be they romantic, physical, or more spiritual. 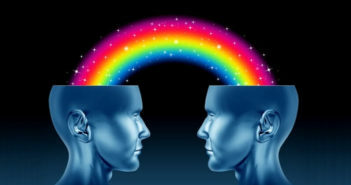 For some, there’s a feeling of deep connection that transcends reality – we get a deja-vu experience with some people and instantly feel close to them. For many, this is linked to reincarnation (the feeling that this stranger is someone they have known previously) or it can be on a similarly-spiritual level. The important thing to remember here is that ‘love’ is different for everyone, and everyone’s experiences of it will be different. Some people claim to ‘know’ straightaway when they meet ‘the one,’ and who are we to say whether or not they’re right?! So, as we’ve established, it’s really hard to pinpoint an exact length of time that it takes to fall in love. Love is complicated enough on its own, so it’s very tricky to consider all the factors that play a role. The main message to take away from this is that we feel what we feel, when we feel it. We can’t rush ourselves to experience certain emotions and there shouldn’t be any pressure to say the ‘L’ word, however much you feel like you ‘should’ be saying it! Our feelings go through a long, winding process before we really get to actually experience them, so we have to just be patient with ourselves. We also need to learn to trust our gut instincts when it comes to matters of the heart. We’re not saying run away the second you have a small doubt about something, but follow your intuition – if something feels ‘off,’ it normally is.